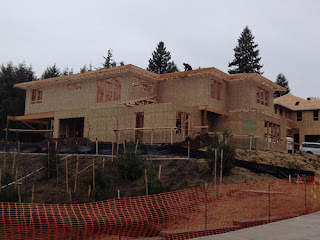 This blog showcases "The Oregon Dream" House #3 by Stone Bridge Homes NW that will be featured in the 2012 Street of Dreams in West Linn, OR. What does the Oregon Dream look like? The folks at Stone Bridge Homes NW have wrestled with that question for years, continually refining and evolving the homes they build to best reflect the values of their customers. "The thing about Oregonians is we're not showy people," said Kelly Ritz, president of Stone Bridge Homes NW. "We're sensible, thoughtful, pragmatic." 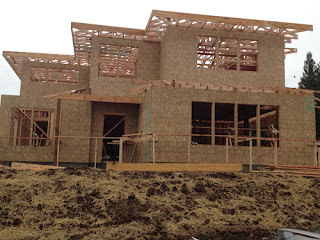 Now the builders at Stone Bridge Homes NW are ready to display their best ideas on a grand scale when they make their first foray into the Portland area's top luxury home show, the 2012 NW Natural Street of Dreams. The show — to be held July 28 through Aug. 26 at The Vineyard in West Linn — will feature seven new luxury homes designed and built to show the latest innovations and best ideas in homebuilding. Stone Bridge Homes NW's entry, dubbed "The Oregon Dream," also identified as House #3 in the show will be light and livable, Ritz said. It will feature high ceilings, large windows and outdoor living spaces designed to connect residents with the home's natural surroundings. "We have teamed up with Troy Fowler and Skyline Homes on a design I would call Northwest Contemporary," Ritz said. "We wanted to start fresh — clean lines, more open spaces and more light." The exterior of the home will feature a mix of stone elements with cedar siding that will be stained instead of painted for a natural look. Stone, wood and tile on the interior will add to the organic feel of the home. Ritz describes the look as a "less complicated architecture. But it's not going to be sterile. It will have a warm, light, livable feel," she said. Being a showcase for the type of high quality construction Stone Bridge Homes NW is well known for, “The Oregon Dream” also will show off the builder's dedication to energy efficiency and customizability. 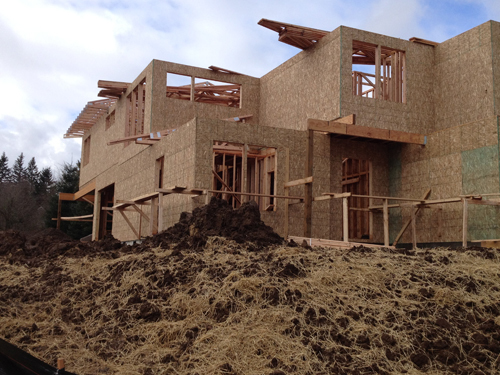 Every home by Stone Bridge Homes NW is built to Earth Advantage standards, a certification given to less than 20 percent of the new homes built in Oregon. The company's new homes are also semi-customizable. Stone Bridge Homes NW works with buyers to make sure their new home fits their lifestyle needs as best as possible. Ritz said her team's ability to listen to what its customers want helped keep Stone Bridge Homes NW buzzing during recently tough economic times. "You can't do the same old same old," she said. "You have to evolve." This year's NW Natural Street of Dreams presents an opportunity for Stone Bridge Homes NW to let show goers see just how far the company has come since its founding in 2006. "The Street of Dreams is more than just seven homes for seven people to buy," Ritz said. "It's a place to get building ideas, a place to get energy-efficiency ideas, a place to get decorating ideas. "We want them to know about “The Oregon Dream” House #3 and get them thinking about Stone Bridge Homes, our neighborhoods and the quality of the houses we build." © Copyright 2012. Stone Bridge Homes NW. All Rights Reserved. Powered by Blogger.